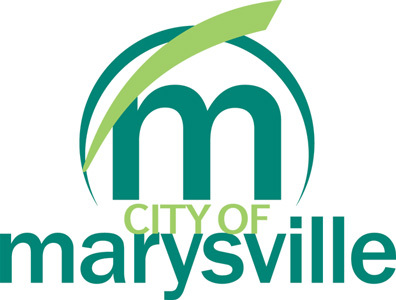 Marysville City Council discussed a possible commuter tax credit at a recent work session, though officials expressed worry that the state would enforce such a credit anyway. Officials told finance committee members last month that a half-percent credit would cost the city about $1.3 million, while a quarter-percent would cost $600,000. “I think we could do a marginal, partial credit, but we couldn’t do a full credit,” Nahvi said. Nahvi noted that the Ohio General Assembly could soon require municipalities to provide a commuter tax credit. Nahvi said he understands why the state is trying to standardize the tax system, but said if legislation goes through, most municipalities will raise taxes to compensate. Reams said city residents are paying a significant amount of money to Paris Township for services provided outside the city. Reams said that would provide relief to everyone, whether or not they work in Marysville. Mayor J.R. Rausch asked if the city has a way to easily track residents who work in other cities. He said when he worked in Dublin, his employer would only withhold Dublin income taxes, not Marysville’s. “We could start trying to figure that out, but that might be difficult,” Nahvi said. City Income Tax Administrator Jackie Ward said many taxpayers have not handed in W-2 forms that include withholdings, making it hard to collect that data. “We’re not working with complete information here,” she said. Ward was able to say that about 80 percent of returns include W-2 forms from outside the city. Rausch said the city has more residents than it does jobs. Council member Alan Seymour said the credit would be a “recognition and appreciation” of people who choose to live in Marysville, even if they don’t work locally. Council member Deborah Groat said that a commuter tax credit was discussed in 2009. She asked what had changed in the meantime to make such a credit necessary. Nahvi said to him, there are two factors: the city’s prosperity and state pressure. According to Nahvi, the city is doing well. “At some point, it might be fair to offer some partial relief,” Nahvi said. Officials also said they wanted to get ahead of the state’s possible credit mandate. “I just feel that if the state takes this over, there’s no guarantee that they’re going to say that this is our money,” Nahvi said. Nahvi said the city’s next finance committee meeting will discuss the matter further. That includes more in-depth analyses of what other municipalities offer. He said if council were to adopt a credit, it would probably be active starting in 2020. He said the city doesn’t have enough time to get a credit in place for next year. In the meantime, Nahvi said he’s going to continue updating council on the progress of the city’s research. He said he hopes to “take another couple of months” to look at everything. That includes finding out what other municipalities charge, and how much of a credit they offer.